The chicks are continuing to get bigger and gain in strength. Most of them can now fly short distances, so I needed to add the top to their cage this week. The top is simply recycled corrugated roof panels from a friend’s roof. They replaced their roof and these particular panels were still in good shape, so there was absolutely no reason to send them off to the landfill. 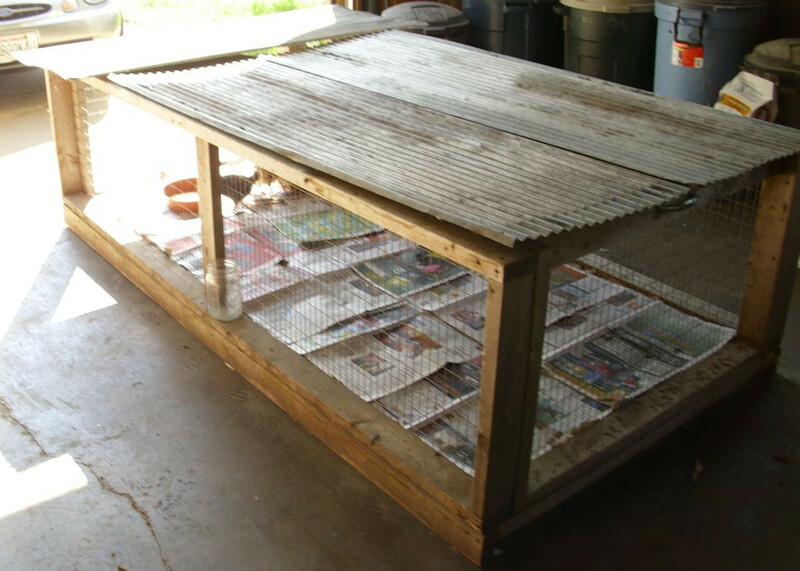 I used other panels as sheathing for my chicken coop. So, now the chicks have a roof over their heads. They don’t like it when I have to move the panels about and will cheep quite loudly at me, telling me how they dislike the noise. I’ve set the panels up so that I provide the minimum of disturbance each day when I feed and water them. Eventually, the chicks will need to become integrated with my flock—they can’t stay in that cage forever. There is a reason that we talk about pecking orders in life. Chickens can be quite mean toward each other. 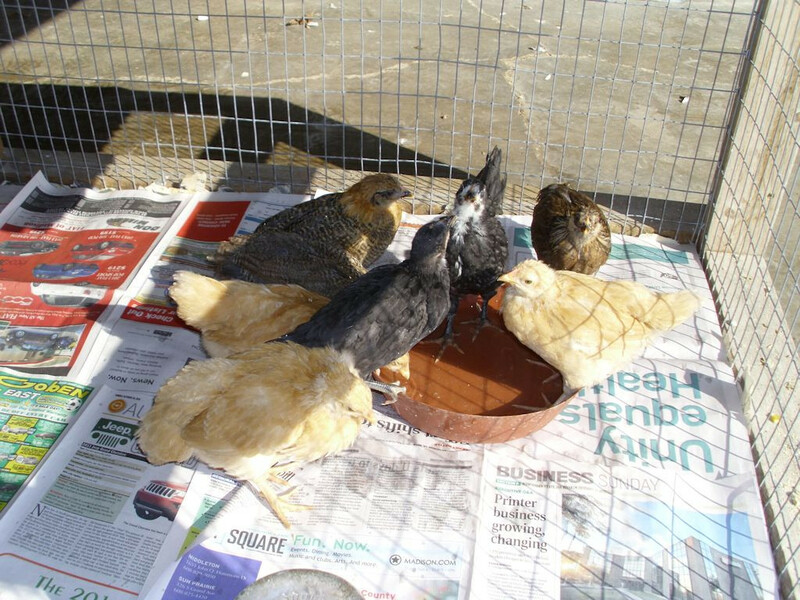 In fact, during my first integration, one of the new chicks was actually pecked to death by the other hens in the coop. The experience has taught me that I need to introduce new chicks slowly and carefully. This week, I opened the garage door. The hens are free to roam about my property during the day. Being curious and suspicious, they peeked around the end of the garage at the chicks in their cage. After a while, they started spending time in the garage, viewing the chicks. The idea is to get the hens used to seeing the chicks. I’ve read any number of texts on flock integration and there just doesn’t seem to be any non-confrontational way to do it. The hens must establish a pecking order, deciding who is the boss. However, this time I’ve thought about the idea of placing the hens, one at a time, in with the chicks. When I first place the chicks in the coop, they’ll be in a cage. The integration process will be slow. Unfortunately, despite these precautions, a day of reckoning will come and I’ll have to let the chicks work their way into the flock as a whole. During their first week in the coop, hens and chicks alike will stay together. My goal is to integrate the new chicks with the least amount of trauma. This week also saw the chicks eating regular laying mash—the same food that the full-sized birds get. The chicks are taking their time adjusting to the new food, which is what I expected. As with all changes, it’s essential to take things slow and understand that all things require time to adjust to change. Let me know your thoughts about chickens and their growing process at John@JohnMuellerBooks.com. Always enjoy the “chick” updates. Oh my, they’re growing. It’ll be time soon to start putting them in with the hens in the coop. I made the mistake last time of waiting too long. Yes, they are starting to get big and quite opinionated too!